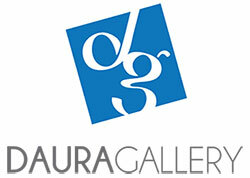 The Daura Gallery at the University of Lynchburg was established in 1974 as the University’s art gallery. The gallery was dedicated in 1990 as the Daura Gallery in memory of the Catalan-American painter Pierre Daura (1896-1976) and his wife, Louise Blair Daura. The collection of works by European and American artists, African art, and world cultures now includes more than 2,500 paintings, drawings, prints, and sculpture. The Daura Gallery is a member of the International Council of Museums, University Museums and Collections Committee; the American Alliance of Museums; the Association of Academic Museums and Galleries; the Southeastern Museums Council; Southeastern Art Museum Directors Consortium; SECAC (formerly Southeastern College Art Conference); Virginia Association of Museums, and Virginia Artisans Trail Network. Visit our new Atrium Lounge!